Ck Ledesma and Kim Loper explore the layers of identity construction with large-scale anatomical installations. 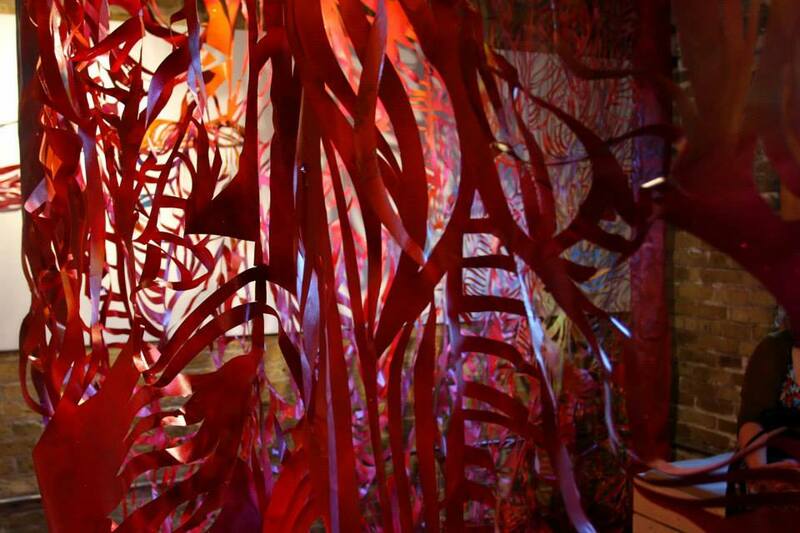 Ledesma’s painted abstractions of color symbolize skin and external identity projections (pellicula) and Loper’s sinewy paper cuttings symbolize the internal sense of self (musculus). These intersecting ideas investigate the ways in which our identities are created by ourselves and by others and invite us to examine who we are from the inside out.